I offer a wide range of services to help you achieve your goals. You may not need all of them, but if you do, I have them available. Over the course of my 30 years in the Tax and Mortagage Lending industry, any number of decisions have impact on your ability to maximize your assets and minimize your Taxes. From starting a home based business, financing a small business to acquiring assets for growth, there are number of strategies that can help you achieve financial security. 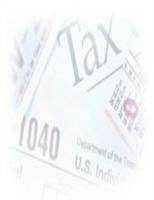 Thank You for considering Accredited Financial Services for your business and personal tax needs.